People run for a variety of reasons: exercise, fun or to get from Point A to Point B. But every serious jogger knows that having the right gear makes the run better, safer and more enjoyable. So here’s a look at some fun running gear to keep your spirits up as you break through to that blissful high (and of course as a San Francisco pedestrian accident lawyer, I list some things to keep you safe while you’re doing it). Sure, you can use these little gizmos and applications to record important details about your run like how far you went, how fast you ran, how much elevation you chewed through, but you can also create GPS running art! Choose your route strategically and draw doggies, classic video game characters, sports logos, or any of a host “irreverent” images to give your friends a chuckle. Apps like MapMyRun and Endomonod let you easily share your artwork with friends over social media. They’re wings. For your shoes. Shwings. Add a little humor to your daily punishment and remember a time when Hermes ran messages between the gods of Olympus and the mere mortals below. These are great for folks you like to collect looks from passersby and competitive charity runs. Maybe you’ll absorb some of Hermes’ superhuman speed . . .
No, not those. Hickies are sweet easy-to-use shoelaces to replace your traditional shoelaces. The company designed these functional elastic bands so you never have to worry about tying your shoes again. They’re durable and strong to retain that tight grip throughout your run. And you thought knee socks died out in the 1980s. They say everything is new again and Gone for a Run’s collection of over-the-top knee socks proves that point. Choose from fun and funky to comically inspired and give your routine run a little color around the edges. Carrying all your essentials—wallet, phone, etc.—can be difficult in tight running gear. You don’t want all that stuff slapping your thighs or flying out of your pocket when you’re trying to get in “the zone.” The smart folks at FlipBelt created this low-profile and (fairly) stylish storage belt so you can carry everything you need. The belt keeps it all tight to your body and out of your way. Avoiding jogging accidents in San Francisco can be difficult. Every year there are roughly 30 people killed in auto collisions while walking/jogging/running on city streets. Below you’ll find some of the best gear to help you get home safe and sound. They’re not the most fashionable accessories, but brightly-colored vests (even lighted vests) help you be seen. Visibility is your number one defense against pedestrian accidents in San Francisco, and fashion should always take a backseat to your safety. Flashing LED light bands make you visible in low-light conditions. The majority of pedestrian accidents in San Francisco occur as the sun begins to set. Stay safe and make it home in one piece by letting driver’s know you’re sharing their road. Headlamps for runners not only ensure that drivers can see you, they help you navigate potential hazards on the street or sidewalks. Potholes, manhole covers and drains, raised sidewalk vaults, and speed bumps can all be trip hazards. Hit one of these running and you’ll be lucky if you get off with just a scraped knee or palm. If you’re injured in a jogging accident in San Francisco and aren’t able to talk, how will emergency responders and hospital staff know who you are? Runners don’t often carry ID and cellphones can go missing. Putting your essential information on something like a RoadID lets everyone know who you are in case you can’t. As long-distance runner Steve Prefontaine once said: “to give anything less than your best is to sacrifice the gift.” Whether you run for exercise or for fun, do it wholeheartedly but do it safely. Run during daylight hours, use streets with less traffic or running paths, wear protective running gear, and always stay alert. If you do find yourself injured after a jogging accident in San Francisco, we can help. 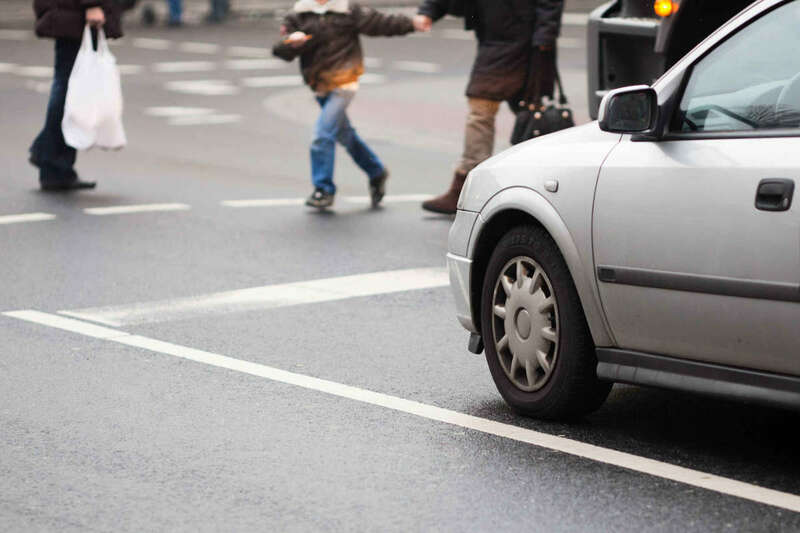 Our team of experienced pedestrian accident attorneys works hard to get victims the compensation they deserve from distracted and negligent drivers. To find out if you have a potential case quickly and easily, fill out this short form. For a personal consultation with an experienced pedestrian accident attorney in San Francisco, call (415) 413-0033 today. Were You Injured in a Pedestrian Accident?